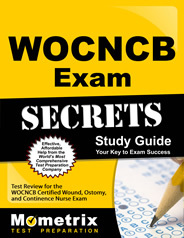 The Wound, Ostomy and Continence Nursing Certification Board (WOCNCB) examination is taken for certification purposes. Becoming certified shields people from being treated by providers who are insufficiently skilled, and it gives patients a better understanding of who to seek out when this form of medical attention is needed. Certification demonstrates commitment and capability with this specialty. Candidates must meet specific eligibility requirements before taking this test. After successfully completing the exam, the certification will be good for five years before it needs to be renewed. 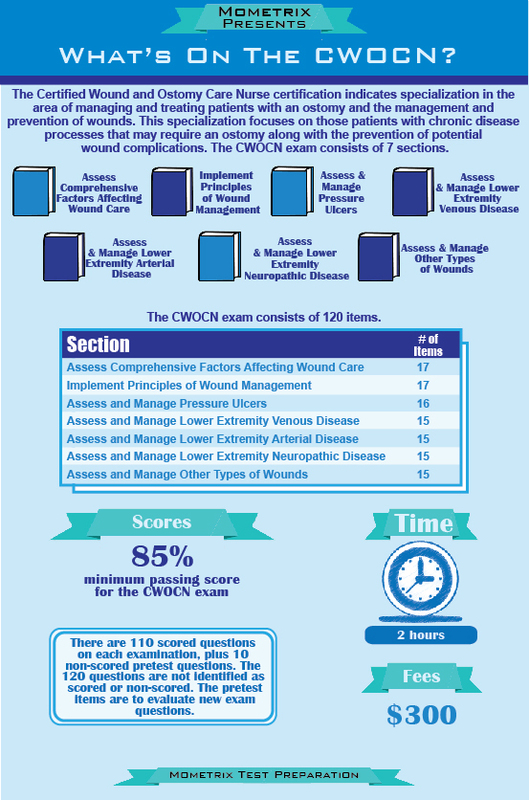 CWOCN – THE BEST WAY TO STUDY! Ace the WOCNCB test using our WOCNCB exam study guide with practice questions. 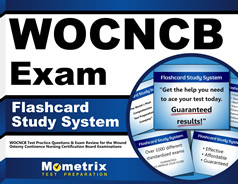 Quickly Solve Difficult WOCNCB Test Questions with the WOCNCB Flashcard Study System.